The prospective meeting between President Trump and North Korea’s Chairman Kim Jong Un would be historic, and regardless of the outcome it will have major implications for years to come. The conflict over North Korea’s nuclear arsenals and ballistic missiles is complex. It is driven by a mindset seething with mutual suspicions and profound distrust between the US and North Korea, which dates back nearly seven decades and has profoundly prejudiced their ultimate intentions. North Korea has violated several agreements with successive American administrations to end its nuclear program, while the US maintained open hostility and made no secret of its desire to effect regime change. 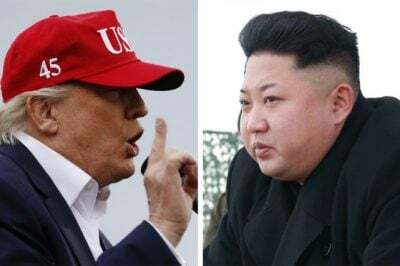 What has dramatically changed the dynamic of the conflict, however, is the convergence of four major developments which made it possible for Kim to invite Trump to negotiate an end to the conflict. Third, by meeting President Trump for face-to-face talks, Kim would also be accorded the legitimacy he has been craving while ensuring that North Korea is treated with respect as an independent state among the community of nations. North Korea’s participation in the Winter Olympics provided the initial thaw between North and South Korea, and created the opportunity for South Korea’s President Moon Jae-in (whose country would be most affected under the conditions of war or peace) to broker a face-to-face meeting between Trump and Kim, to which the latter was already disposed to accept. Although the North Korean delegation (led by Kim, which is most unusual) traveled to China to keep Beijing abreast of developments regarding the pending summit and ensure its support, it is also indicative of Kim’s seriousness about reaching an agreement with the Trump administration.